Originally published by Enlace Zapatista. Translated by Struggle. On the first of January 1994 – under the motto „Ya Basta!” – „Enough!” – thousands of indigenous men and women occupied seven cities in the southern Mexican state Chiapas.The Zapatistas (named after the revolutionary Emilio Zapata (1879-1919)) fought a two week armed struggle against corruption, racism, and repression. Since then they have used peaceful civilian means to improve the living conditions of the population. The Zapatistas occupied areas owned by large landowners, divided the land between thousands of families and have been building autonomous civil structures ever since. The Zapatista Army of National Liberation (EZLN) rebellion was for land rights, health, education, freedom, democracy, peace and justice. The Zapatista movement does not seek to take control of the state. Instead the organisation demanded a profound democratisation of the whole country and a rejection of neoliberal economic policy. The local and national political leaders are still reacting with miltary force, repression and disinformaion campaigns. 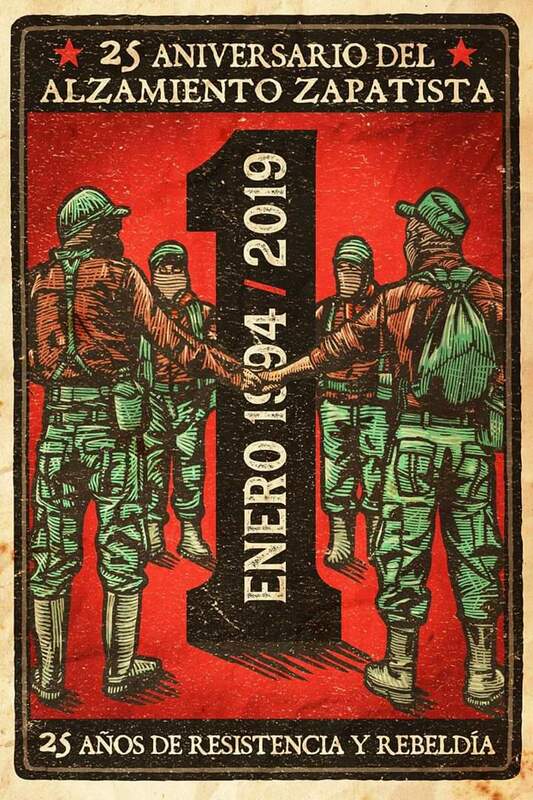 The EZLN sees its rebellion in a global context, and in 1996 called for the formation of an “International of Hope” in order to fight together with other movements for a solidary society and the preservation of nature. In 2005, the EZLN launched its latest initiative („The Other Campaign”), the objectives being a new constitution for Mexico and the strengthening of the global resistance to capitalism. In a long term mobilization independent organizations are to build an extra-parliamentary alliance in order to create a new left and anti-capitalist alternative. The documentary provides an introduction to the topic, insights into the self-administering structures in the areas of health, education, agriculture and collective work, as well as an explanation of the Zapatista politics. Thirdly, the difficulties are discussed – both within the movement as well as in relation to the government. Contributions are made from scientists, human rights activists and journalists and particularly from women and men from the roots of the Zapatista movement. Zapatista’s Mark 25th Anniversary of Insurrection With Warning to #AMLO – Enough is Enough! The #Zapatistas’ Dignified Rage: Revolutionary Theories and Anticapitalist Dreams of Subcomandante Marcos – Enough is Enough!